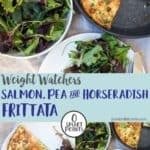 This delicious Salmon, Pea & Horseradish Frittata is an incredible 0 Smart Points per portion on the Weight Watchers Flex / Freestyle program! 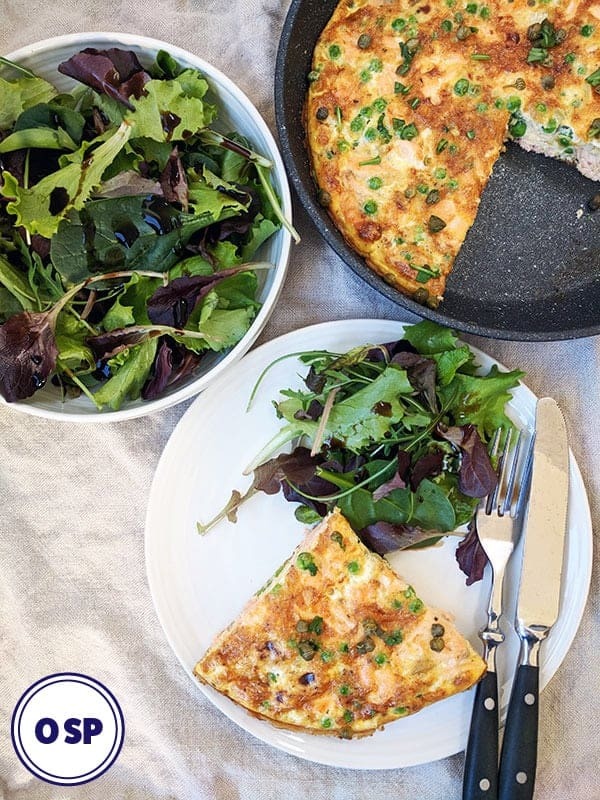 Eggs becoming zero heroes on the new program has opened up lots of ideas for easy, filling and tasty low point Weight Watcher lunches & brunches. 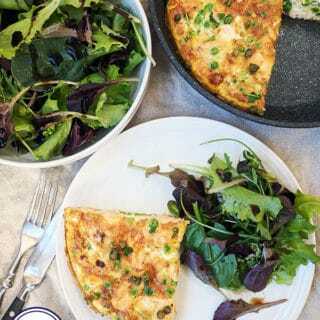 This tasty frittata is one of my go to lunches if I am looking for a quick and easy and very filling lunch. The addition of a tablespoon of horseradish is a perfect accompaniment to the salmon and compliments it well. 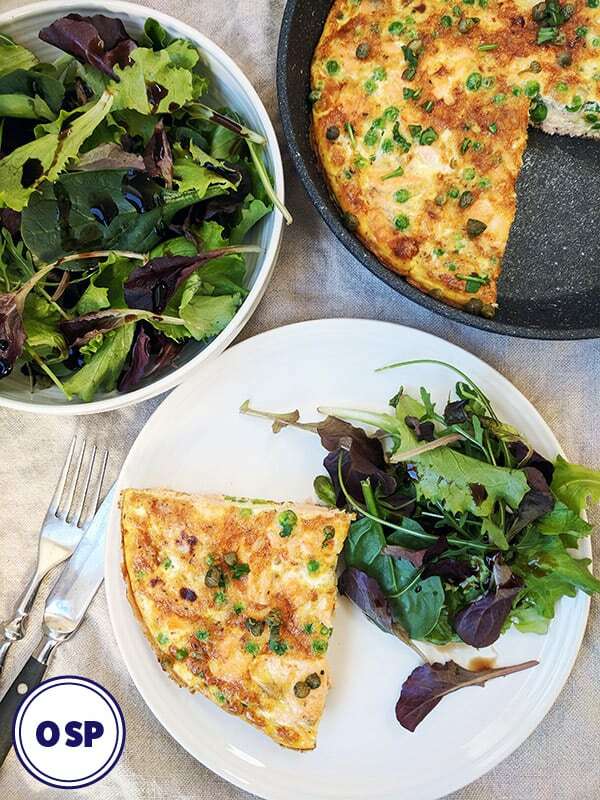 One quarter of this frittata is enough to fill me up for lunch with a small side salad and some zero point salad dressing. Left over pieces keep well in the fridge and can be eaten cold or warmed up for breakfast or lunch the following day. The secret to making a good frittata is to use a good quality non stick frying pan/ skillet. I use a 20cm Eaziglide pan which is very hard wearing, bona fide non stick and not too heavy. It is also oven proof, so can be placed in the oven to cook the top of the frittata. If so please give it a star rating below! Oh … and don’t forget to share it via the share buttons! Place the salmon fillets in a microwave bowl with a splash of water, cover and microwave on high for 2 minutes. If you do not have a microwave you can poach the fillets by gently lowering them into a simmering pan of water. Cover and cook for 4 - 5 minutes or until the salmon is opaque. Remove from the water using a slotted spoon. Spray an oven proof frying pan with frylight (or other calorie controlled cooking spray) and cook the chopped onion over a medium heat until they are soft. Beat the eggs with the horseradish in a separate jug and set aside. Add the frozen peas to the onions and then flake the salmon fillet over. Pour over the eggs and briefly stir the mix to combine. Cook over a medium heat for 6 - 8 minutes until the frittata has almost set. 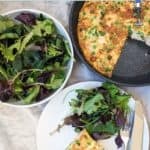 Place the frittata under a medium grill and cook for a further 3 - 4 minutes until the frittata has set an it is golden brown. Sprinkle with chopped flat leaf parsley (optional). 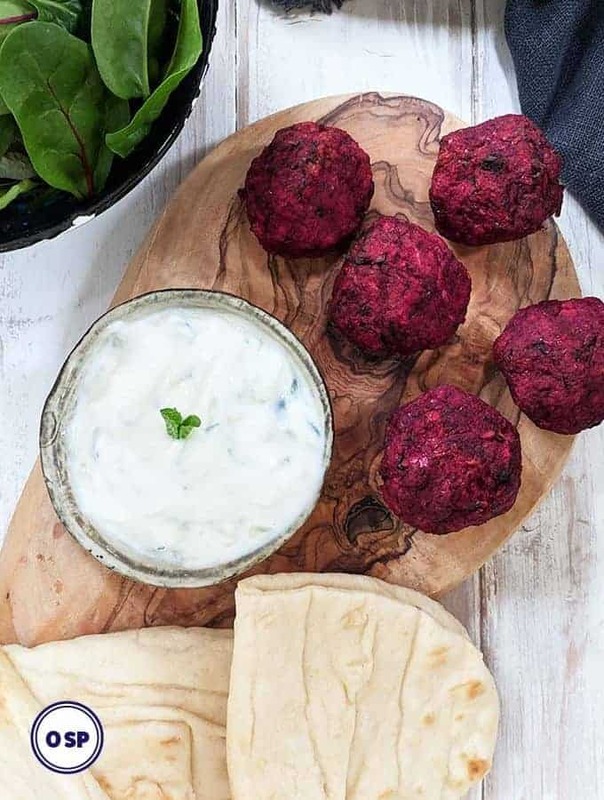 Please be aware that the nutritional information for this recipe has been automatically generated and does not account for variations in product brands and types. It should therefore be considered as an estimate. 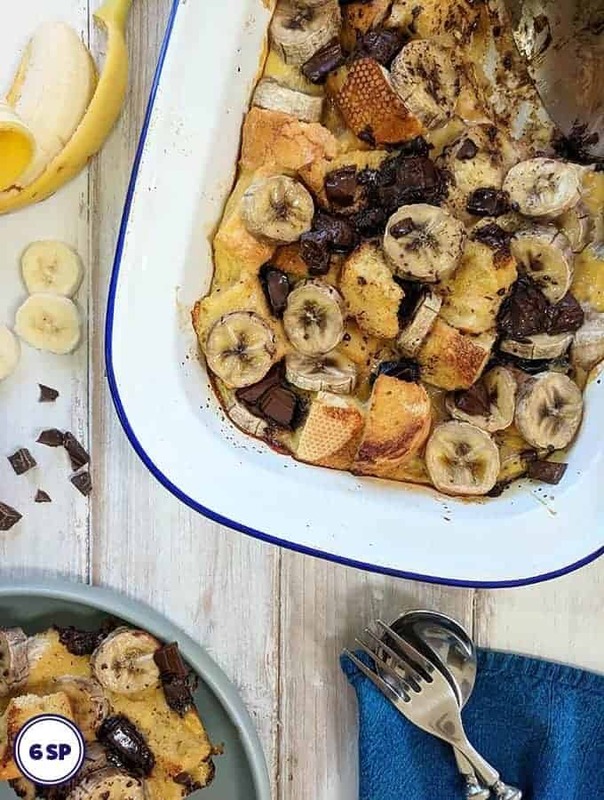 PointedKitchen.com has worked out the Weight Watchers Smart Points based on the individual ingredients used to make this recipe and not from the following nutritional information. 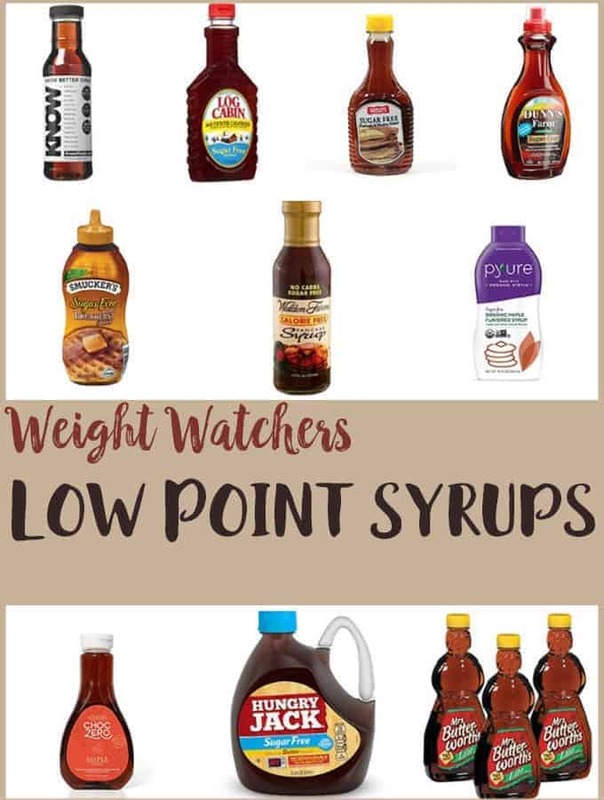 PointedKitchen.com is not responsible for any loss or damage relating to your reliance on the nutritional information.